Are you a thrifty shopper? Bargain hunter? I love a good deal, and it’s even better when my purchase goes towards a great cause – like Wheeler Mission. Thanks to our community of supporters, we’ve always had a continual stream of donated items – like clothes and household goods. These are great blessings to our guests, and we’ve regularly had more donations than we could distribute. Rather than stocking and storing items that couldn’t immediately be used, we stepped into the resale business. 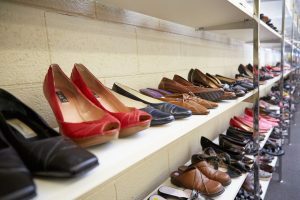 In the late 1980s, Wheeler operated a Dime Store ministry that allowed our Mother’s Club participants to purchase clothing and food for just ten cents. Our store grew so substantially that in 2007, we re-opened as a full-fledged thrift store. Since we expanded our store, we’re able put donations right to work and earn some much needed revenue. Wheeler Has a Store?! Where is it? 2730 S Madison Ave., Indianapolis, IN 46225. We sell gently used (and sometimes brand new!) clothing, household items, and furniture. 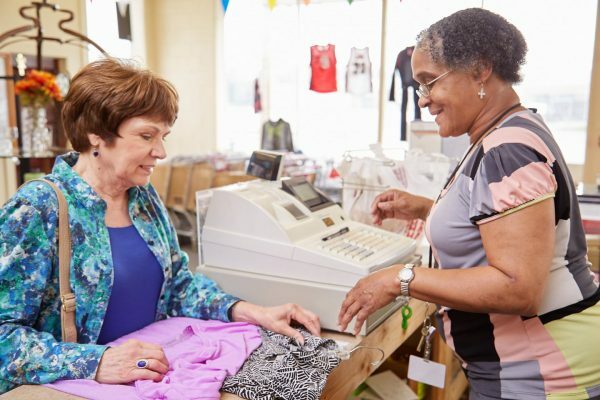 When you shop, you’ll be amazed by the quality of merchandise, and you’ll have a great experience – the entire store is carefully organized with care and attention. When you shop at our store, you’re not just getting a great deal; you’re also making transformation possible. 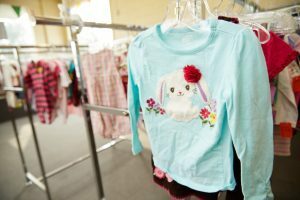 Store proceeds are funneled right into Wheeler Mission’s programs. In 2017, our store generated $370,431 in revenue, equivalent to 164,636 meals.That’s amazing! 1. What do you do with all the donations you can’t use? All donations are used to support Wheeler by going directly to our guests or used as a means to generate revenue. Because the volume of donations is so high (thank you! ), we don’t have room to store everything. In order to steward your gifts, we have relationships with outside agencies that purchase our extra items and use them for other things – like turning your old t-shirts into yarn! This keeps your clothing out of landfills and provides extra income for Wheeler. 2. What are some of the coolest items you’ve sold in the store? Believe it or not, we’re regularly gifted brand new items from major clothing retailers. We’ve sold new designer sunglasses, antique furniture, sewing machines, game tables, etc. 3. Do you use volunteers? You bet! Between our store and donation center, we rely on about 500 volunteers per month. Volunteers assist us with pick-ups, sorting, and pricing items. 4. How can I ensure my donations won’t be sold, but rather given to guests at Wheeler? will be used! Wheeler guests are given clothing throughout their stay, so there’s a good chance your clothing will be given to someone desperately in need. If your donations are used for sale, you can be confident that proceeds are a blessing to Wheeler’s ministry. 5. Where can I bring my donations? Bring items directly to a Wheeler facility, or drop off at one of our conveniently located donation barns. For locations and drop-off hours, go here. For certain items and circumstances, pick-ups are an option. To inquire about donation pick-ups, go here. The Wheeler Mission Store is a huge means of support for Wheeler – and I hope you learned how significant your donations are. We are so blessed by you. P.S. Want to check out our store? Through May 10, mention Rick’s Picks and receive 15% off your purchase!